Qualified Leads vs. Unqualified Leads | Wilson Auction & Realty Co, Ltd. 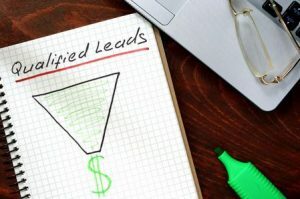 If you are in the business of selling services or products to people, then it’s important for you to know the difference between qualified and unqualified leads. It will help you to sell more effectively and it will let you know exactly what you’re walking into when it comes time to start the selling process. Qualified leads are those people who are familiar with you and what you have to offer in one way or another. Sometimes, a sales marketing team will work on collecting qualified leads and doing some of the legwork for you. In other cases, you yourself may have put in the work to nail down qualified leads. Either way, qualified leads know what you are all about and are in charge of making buying decisions for themselves. They also have a budget to work with and have let it be known what their needs and expectations are, which makes selling to them slightly easier on your part. Unqualified leads, on the other hand, are not familiar with you or your company and are usually not sure what you sell or how it could potentially benefit them. They also don’t have a budget that will allow them to purchase a service or product from you, and they also don’t really know exactly what they are looking for anyway. This can make it difficult to work out a deal with them since you will be fighting an uphill battle the whole time, and often times, it won’t even be worth all of the trouble that it will take to convince them to buy your service or product. One way to guarantee that you will have plenty of qualified leads when selling a service or product is to hold an auction. People willingly show up for auctions ready to bid on items that are being sold. So you don’t need to spend much time convincing them why they should purchase something. By simply showing up, they are proving to be qualified leads and increasing your chances of making sales. Wilson Auction & Realty would love to tell you more about the benefits of holding an auction. We would also love to help you hold one at some point in the near future. Call us at 419-636-5500 to get started.